See the past tutorial about this for more. But it is quite basic. We charge the capacitor using one of the Arduino pins. Then we discharge it through a resistor. The formula tells us that the capacitance value is equal to the time it took to reach 63.2% of the fully charged voltage divided by the resistor value. So, in the code, when capacitance mode is selected, we charge the capacitor, discharge it and count time. When the capacitor reaches 63.2% of Vcc, we stop the time counter and calculate the capacitance value using the formula. 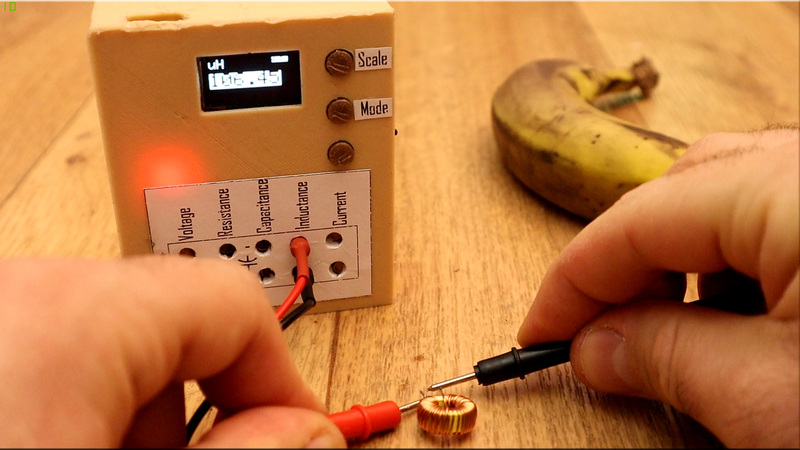 For more details see the INDUCTANCE METER TUTORIAL. But an inductor in parallel with a capacitor is called an LC circuit, and it will electronically "ring" like a bell. Well regardless of the frequency or how hard a bell is struck, it will ring at it’s resonating frequency. We will electronically strike the LC bell, wait a bit to let things resonate, then take a measurement. There is some internal resistance so this is really an RLC circuit. When the multimeter is into inductance mode, we count the time between each pulse of the resonancy frequency. If we know the frequency value and also the used capacitance, in this case 2uF, we can get the inductance value adn print that to the OLED screen. Remember to downlaod the full code. Tune the values at the beginning of the code. Also install the adafruit libraries for the ADS1115 module and the OLED screen. Compile, make the connections and upload. Test the multimeter. Downlaod the 3D files from below. I've used 2 perimeters, 20% infill and a 0.4mm nozzle and PLA amterial. The case is made out of 2 parts and 3 plastic buttons. Cut your PCB to the case dimensions and place that inside. 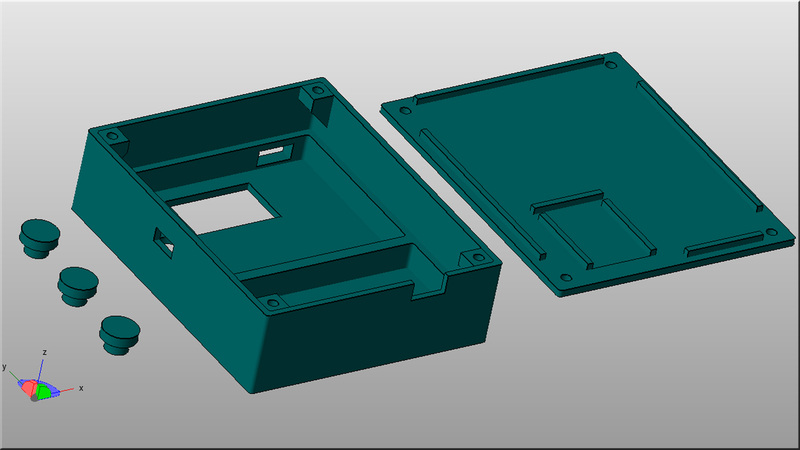 It has space for the OLED screen, sliding switch and the USB connectors for the Arduino and charging module.